Many teachers use whole group instruction when introducing a new topic. The term “macro” means “large-scale” or “overall.” If you look at a macro teaching PDF online, you can find the definition. When applied to teaching, the macro method simply indicates instruction that is being delivered to the entire class at one time. This is a useful method for when teachers need to give instructions for an assignment or introduce a new concept or background information to the class. 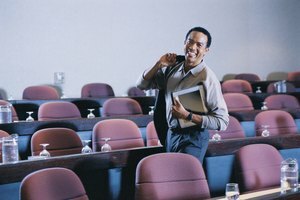 Like microteaching, simulated teaching can refer to a teaching style that is being used in the classroom, or it can refer to a teacher training method. In the classroom, simulated teaching is when you assign students to particular roles in a simulated environment. 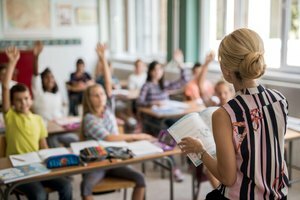 For instance, students can role play scenes from a novel or particular time in history, and then respond to a given assignment as if they were a specific character or historical figure. Simulation can even require students to take over the role of the “teacher” and instruct the class. In teacher training, simulated teaching is similar to micro teaching: Teachers “role play” a particular lesson in front of a group of peers who are acting as students and then, the peer group evaluates the lesson and provides you with feedback. As with micro teaching, mini teaching can refer to either an instructional definition or teacher training. Either way, the mini teaching definition shows that it is basically a scaled-down form of micro teaching. 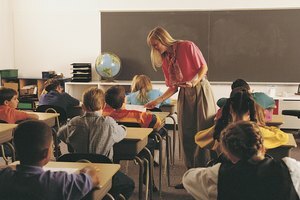 In the classroom setting, mini teacher implies a scenario in which the teacher works with very small groups of students (perhaps two or three) for short periods of time. Mini teaching can also refer to a brief lesson of five minutes or less (often referred to as “bell work” in the field of education). When it comes to teacher training, mini teaching shares its methodology with micro teaching: You will deliver a short lesson of approximately 10 minutes to a small group of peers or students, who then evaluate the lesson and share feedback with you. Brozak, Jennifer. "Differences in Micro & Macro Teaching." Synonym, https://classroom.synonym.com/differences-micro-macro-teaching-8479909.html. 08 August 2018.